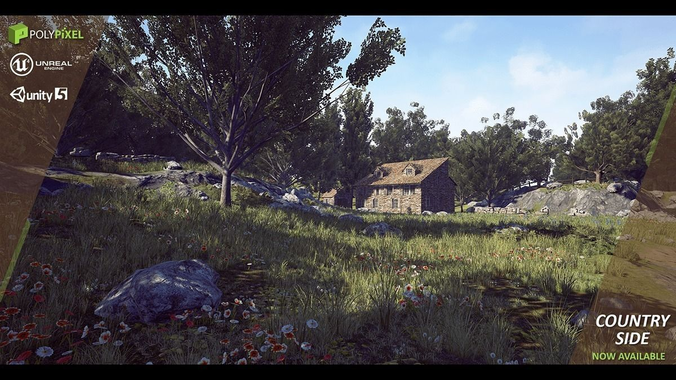 Country Side package is intended to be a quick start to a foliage pack for just about any scene you need. Each asset is optimized with full LODs, no wasted texture space, clean materials, to insure this runs as smoothly as possible. Advanced, but simplified, materials. All assets are fitted with unreal wind to bring life into the world. This pack comes with 2 identical environments, but set during fall and summer months, so showcase the diversity of the assets. Very nice environment, good atmosphere.